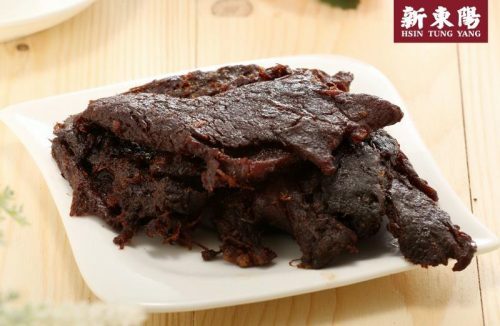 Hsin Tung Yang is probably one of the most popular brands of meat snacks in history. 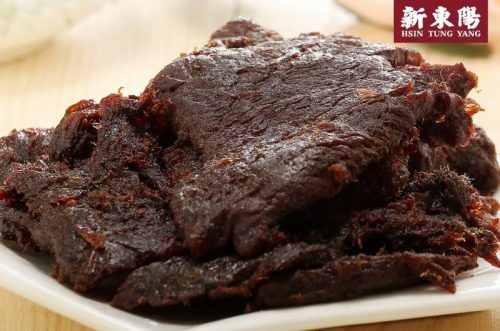 Sourced from America, every piece of beef jerkey is soft, tender, and somewhat moist and easier to chew as a beef jerky snack. The best part of it is that there is NO MSG unlike the other brands. Its fruity sweetness is probably the most strongest flavor in this jerky, and is what I’d say dominates this jerky overall. That’s only expected since this is billed as a ‘fruit flavored jerky’. 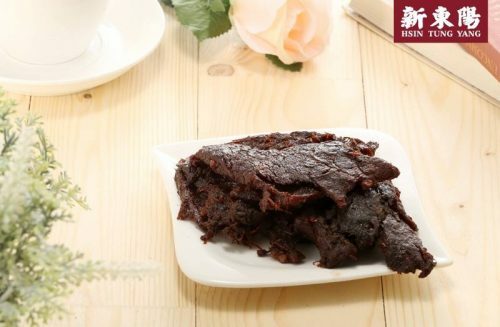 There are only 80 calories in a 1 oz serving of Hsin Tung Yang Sweet Beef Jerky, so you don’t have to worry too much about eating too much! Get it at BUY&SHOP now!